The church can be found outside the village centre, on a little square of its own. This peculiarity meant that the building could be enhanced in the 14th and 15th centuries with an arched entrance featuring a wide herringbone pattern and a rectangular bell tower. Other peculiarities of the building are the absence of an apse and a wooden roof structure. Inside the nave are some interesting furnishings: baptismal fonts, a 17th-century altarpiece and a 14th-century statue. Another original feature is the Antique necropolis in the basement. 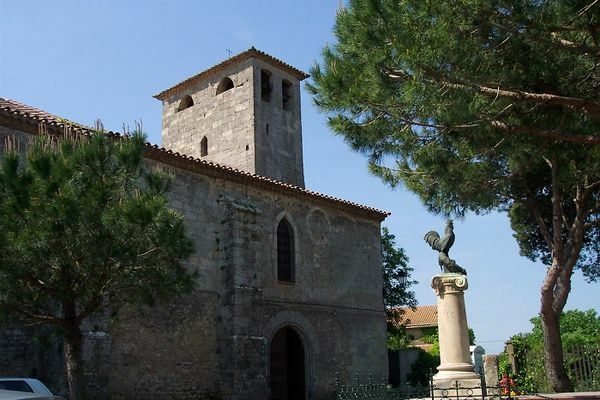 There is no review about Eglise Saint-Corneille Et Saint-Cyprien, be the first to leave one !